11 | May | 2012 | Russ & Gary's "The Best Years of Music"
The Band was an influential Canadian-American rock and roll group of the 1960s and ’70s, formed in Toronto, Ontario, Canada. Dubbed “The Band” by their peers, the group left the comfort of their communal home in Saugerties, NY to begin recording as a group unto themselves. The Band recorded two of the most important albums of the late 1960s: their 1968 debut Music from Big Pink (featuring the hit single “The Weight”) and 1969’s The Band. These critically praised albums helped conceive country rock as something more than a genre, but rather as a celebration of “Americana.” As such, throughout their career they would repopularize traditional American musical forms during the psychedelic era. 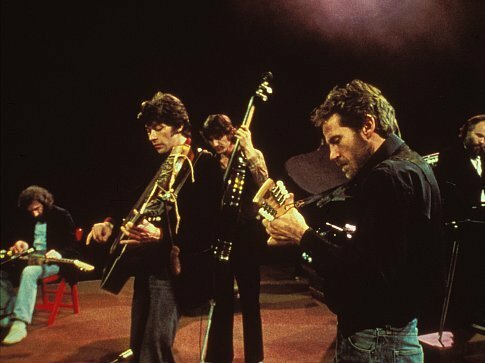 The Band dissolved in 1976; Martin Scorcese’s landmark concert film “The Last Waltz” documented their final performance. 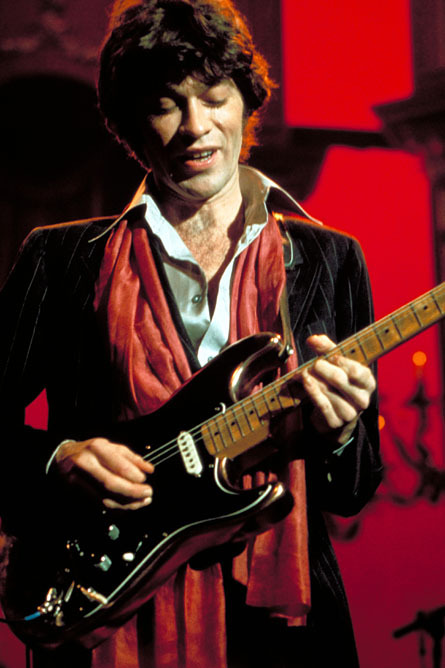 They reformed in 1983 without founding guitarist and main songwriter Robbie Robertson. Their music fused many elements: primarily old country music and early rock and roll, though the rhythm section often had a bouncy, funky punch reminiscent of Stax or Motown, and Robertson cites Curtis Mayfield and the Staple Singers as major influences. At its best, however, The Band’s music was an organic synthesis of many musical genres which became more than the sum of its parts. 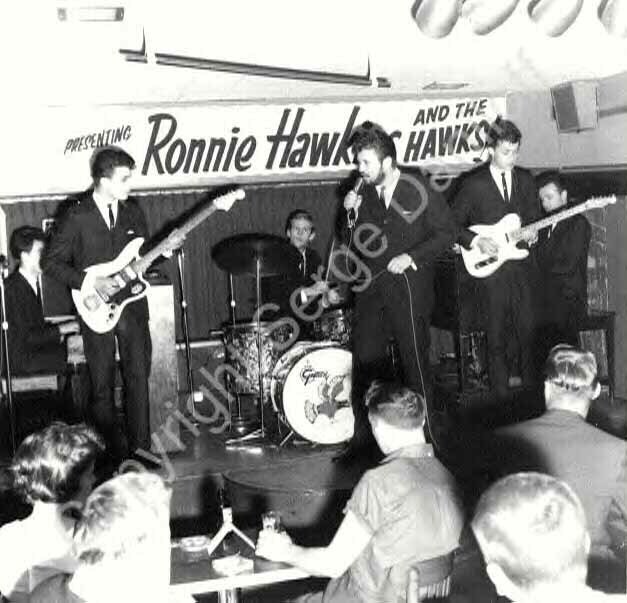 The group’s songwriting was also remarkable as, unlike much earlier rock and roll, and following upon the example set previously by The Byrds, very few of their early compositions were based on conventional blues and doo-wop chord changes. Excepting Robbie Robertson, all members of the group were multi-instrumentalists; each person’s primary instrument is listed first. There was little instrument-switching when they played live, but when recording, the musicians could offer all manner of subtle aural colors and textures to enhance songs. Garth Hudson in particular was able to coax an impressive range of timbres from his Lowrey electronic organ; on the choruses of “Tears of Rage”, for example, it sounds startlingly like a mellotron. Levon Helm’s drumming was rarely flashy, but he was often praised for his subtlety and funkiness. Critic Jon Carroll famously declared that Helm was “the only drummer who can make you cry,” while prolific session drummer Jim Keltner admits to appropriating several of Helm’s techniques. Singers Manuel, Danko, and Helm each brought a distinctive voice to The Band: Helm’s gritty, southern voice had more than a hint of country, Danko sang in a soaring, unfettered tenor, and Manuel alternated between fragile falsetto and a wounded baritone. The singers regularly blended in unorthodox, but uncommonly effective harmonies. Though the singing was more or less evenly shared between the three men, both Danko and Helm have stated that they saw Manuel as the Band’s “lead” singer. Robertson was the unit’s chief songwriter (though he sang lead vocals on only three or four songs in The Band’s career). This role, and Robertson’s resulting claim to the copyright of most of the compositions, would become a point of much antipathy between the group’s members, especially between Robertson and Helm. Producer John Simon is cited as a “sixth member” of The Band for producing and playing on Music from Big Pink, co-producing and playing on The Band, and playing on other songs up through The Band’s 1993 reunion album Jericho.